What can NBA players teach us about relationships? More than we think. Benedict Carey of the New York Times wrote in February about research in Mind magazine in an article called “Evidence That Little Touches Do Mean So Much.” Researchers studied touch–everything from high-fives to warm touches on the shoulder. Good teams tended to have more touches than bad ones. The league’s top two teams were the most touch-bonded teams—the Boston Celtics and the Los Angeles Lakers. The least touchy teams were the Sacramento Kings and Charlotte Bobcats, neither of which had good seasons. Guys, if this doesn’t get your attention about the importance of touch, what will? 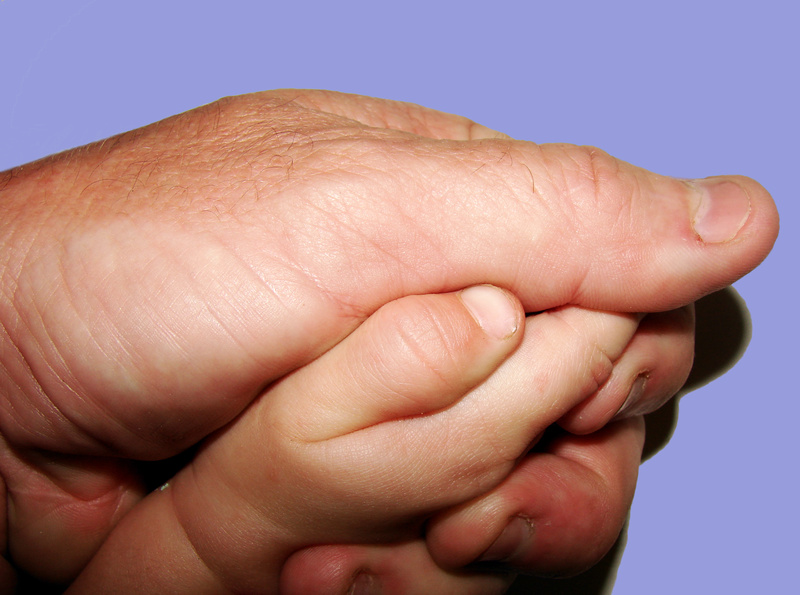 There is even a scientific basis for why we need touch. “A warm touch seems to set off the release of oxytocin, a hormone that helps create a sensation of trust, and to reduce levels of the stress hormone cortisole.” Women who may have high levels of stress hormones may especially crave this touch to help feel bonded. Once the stress hormones are reduced, the brain’s prefrontal areas (regulating emotion) can relax and proceed to solve problems. Researchers also studies romantic partners, and preliminary results show the ones who touched more during interviews reported highest relationship satisfaction. While it’s unclear whether the touching or the satisfaction came first, there is certainly a correlation. For some people whose primary love language is touch, positive contact is even more important. So, if you’re a man who feels you are sharing the load, but your wife doesn’t always respond in the way you expect, ramp up the amount of (non-sexual) touch in your home. If it doesn’t come naturally to you, here are suggestions. These are also good opportunities to increase your ratio of positive comments to negative, but even a touch alone is beneficial. Give a hug before getting out of bed or starting your day. Give a longer-than-usual kiss when you leave or arrive home. Put your hands on her waist as she is cooking or doing dishes and kiss her cheek. Touch her cheek, or stroke her hair at the end of the day. Rub her shoulders when she seems tired or stressed. Touch her arm when you ask about her day. Sit close enough to touch or snuggle when watching TV. Reach over when driving to momentarily touch her hand or shoulder. Wives who are moms often turn to their children for positive touch. This can be helpful in releasing stress hormones, but if men are not part of this positive-touch pattern they are missing out on an important part of daily bonding. A bonded team is a successful team. Just ask the Lakers. A soldier I interviewed said missing positive touch from his family was the most difficult part of his deployment. Do you take positive touch for granted? Do you wish you had more touch during the day? Are you surprised about the NBA study? This entry was posted in Communication, Family, Love, Marriage, Marriage Research, Relationships, Uncategorized and tagged better marriage, better relationships, bonding, brain research, Family, husband, improve marriage, Love, Marriage, Marriage Research, Mind Magazine, NBA, nurturing, power of touch, relationship advice, Relationships, research on touch, spouse, successful relationships, touch, wife. Bookmark the permalink. Yes, yes, yes! I can tell that this is true from my own experience. Just having my husband put his hand on my knee when we’re talking makes me feel loved and at peace. My body reacts immediately. My stress level decreases. That’s super-cool to learn that sports teams who touch more do better. Especially in our homophobic culture, where men are so afraid of looking gay that they’ll avoid touching at all costs. It just goes to show that we lose a lot when we devalue affection, even within the sexes. Men especially need to be taught to touch — to show affection to their wives, children, and even male friends. Very cool. Yes, many men need to be taught to be affectionate and say their upbringing didn’t model that kind of touch. What’s the best way to teach the skill? Ideally, we’d model it for our children, but once a man has grown up in a non-touchy family, how can the behavior be learned? Share your success stories.